The Milang Snipe Sanctuary (the Sanctuary) is a unique fringing wetland of Lake Alexandrina that is fed predominantly by stormwater. The Sanctuary is special as the rare Latham’s Snipe (Gallinago hardwickii) return there each year during spring and summer. Snipe need to feed and rapidly increase their body fat to be able to make the return journey to their breeding grounds in the Northern hemisphere. 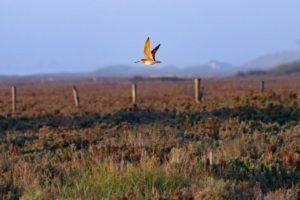 Birds that leave here in good condition are more likely to be successful breeders. As the Sanctuary relies on stormwater to maintain water levels, dry summers result in no foraging habitat for snipe. Snipe numbers have been excellent since their arrival in August 2017, up to fourteen individuals in one sighting, however they will need to move to find suitable foraging areas as the wetland has dried. 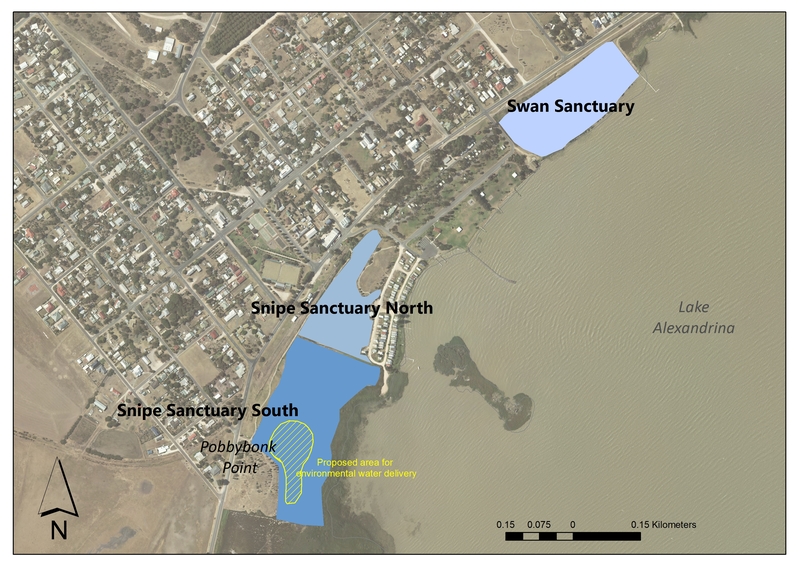 Together with Nature Foundation SA (NFSA) and Goolwa to Wellington Local Action Planning (GWLAP), Natural Resources SA Murray-Darling Basin have an exciting opportunity to deliver a small volume of water via pumping to the south basin of the Sanctuary to provide suitable foraging habitat for migratory waders, particularly snipe. 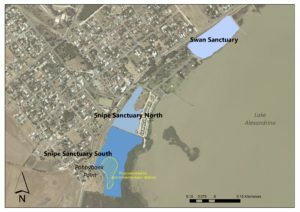 This water will inundate low lying shrublands and sedgelands in the south basin of the Sanctuary to an average water level depth of ten centimetres across approximately 40% of the wetland in the very southern area near Pobbybonk Point (see map). The proposal is to trial a small four-inch pump to deliver approximately 4 mega litres over 3 days with 2-3 smaller top-up volumes a few weeks apart. 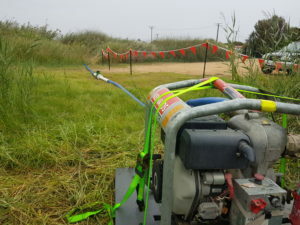 The small pump is portable and would be run only between 9.00 am and 5.00 pm and not on weekends or public holidays. 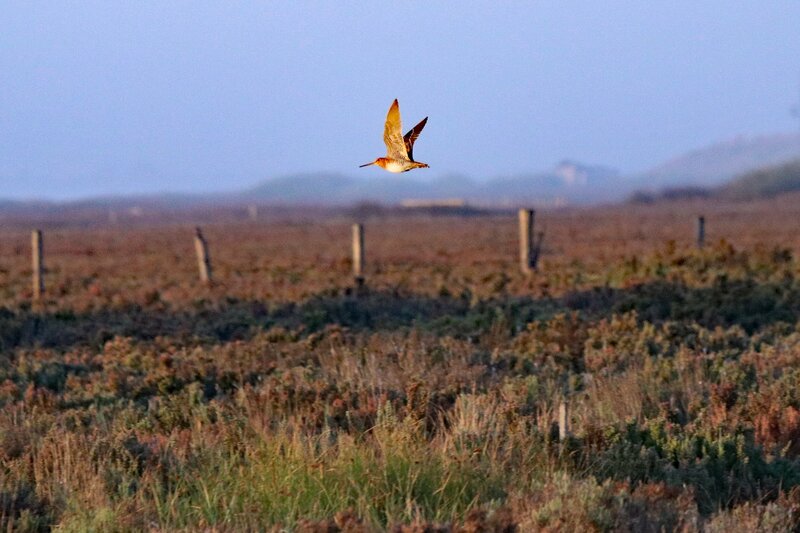 If successful, the trial will provide rich foraging areas for snipe and other birds that prefer the shelter of samphire and low sedges such as another threatened species, the Australasian bittern.